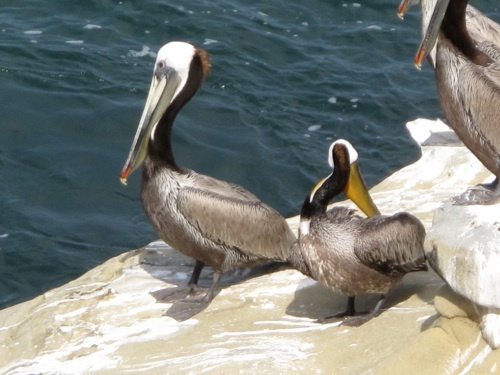 Those in search of an reasonably priced getaway for the beautiful southern Californian city San Diego should give serious consideration to the upcoming event San Diego hotel week, a month-long program featuring the city’s most popular list of hotels, resorts and vacation rentals. The special program is offering great discounted deals for the travelers. Apart from accommodation, the program has also an inventory of discounted deals on a variety of savings on tours and tickets to explore the magnificent city of San Diego. Whether you choose to spend time in sightseeing or indulge in the pulsating nightlife of the Gaslamp Quarter, San Diego Hotel week has everything for you. Hotel Del Coronado is one of the featured hotel of San Diego Hotel week program. This iconic hotel is serving the guests graciously since 1888. This Victorian style mansion with red turrets piercing the California skyline is considered as one of the popular classic beachfront hotel on one of the America’s most beautiful beach. Designated as a National Historic Landmark in 1977, this hotel brings the cotemporary luxurious amenities and the charm of a fairytale castle together. Voted as one among the top ten resorts in the world by USA Today, this quintessential San Diego hotel in the beach offers the best Californian style hospitality to everyone. As one of the most urbane lifestyle hotel on the beach , the Del Coronado is an ideal destination for a memorable vacation getaway. Whether for families or couples, this enchanting resort hotel is San Diegobased best classic backdrop for a perfect romantic escape. Hence, the Del is one popular wedding destination in America according to the Travel Channel. Even for business conferences, this hotel has 65,000-square feet of flexible meeting and exhibition space exclusively for such events. With a group of event planners, the hotel ensures to provide all possible assistance for a successful event. San Diego hotel week has special offers on accommodation for the Del Coronado hotel. 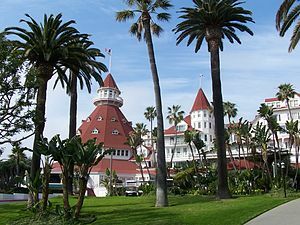 The deal offers 1 night free stay when you book a 2 night stay at the Hotel Del Coronado during 2010. Another deal from hotel week offers 4 free ice skating sessions at the Del’s oceanfront rink, when you book your accommodation within November end, 2010 till 2nd January, 2011. You can choose to book online or through telephone for such offers. Come and experience a wonderful south Californian getaway at this classy hotel on the beach of marvelous San Diego.